the.book.chat is back. Let's catch up. I'm so glad to be back to chatting with all of you. I desperately missed the blog while I was away, and I missed Thursdays the most. Before we get into the chat, let's take care of some business. If you haven't received the Book Chat newsletter and would like to, please let me know. It's nothing fancy, just a gentle reminder of the BC topics to come so that you planners know what's up. Also, I have the co-hosts spots filled up for August, but I'm totally open to having more than one co-host. The more the merrier, right? And, I'm up for topic ideas for September. We're down to recycling old topics, which frankly, is fine because we have a whole new cast of linker uppers anyway. So, enough with that nonsense. Let's get down to the chattin'! This summer hasn't been too bad. I have finished a few great reads. I discovered a new favorite author, Jojo Moyes. 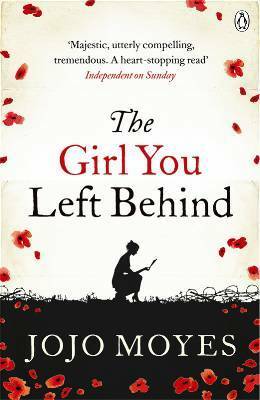 You might have seen my review of Me Before You yesterday and next week I'll have a new one by her. 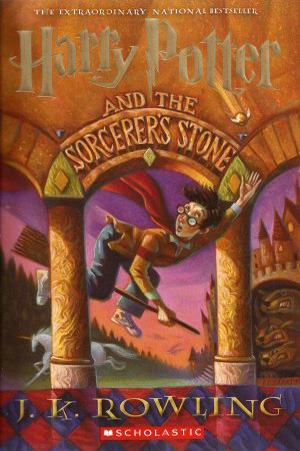 I finally read all of The Sorcerer's Stone from front to back. That took far too long, but I'm glad I just did it. I'm on the second and feeling slightly stuck. Not because it's not good, but it takes some discipline on my part to power through a story I feel like I already know. Even the most clever parts of the book aren't a surprise to me anymore, and it mostly just makes me mad at myself for not reading these when they would have been surprising, ie. fifteen years ago. Oh, who else was shocked that Harry Potter was 33?! I don't feel so old anymore, so HP for the win. 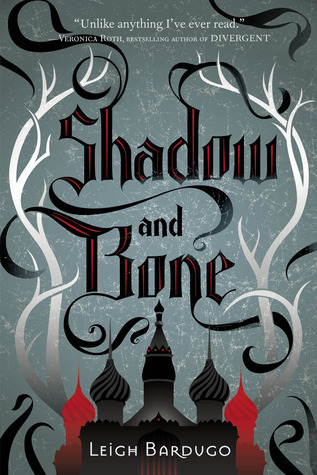 I finally read Shadow and Bone and while that was a great YA read, I can't help but feel like YA just isn't blowing me away anymore. Tisk tisk, YA. I'm not even feeling inspired enough to review them. Blah. Maybe it's me? Because an old blogger can't learn new tricks...I'm reading another YA right now. So far...it's pretty decent. But again...it needs to blow me away. I'm still powering through for this summer reading challenge. I'm way behind and have no chance of finishing in time, but I still love to participate. I mean, it got me to finally read HP, so what's not to love? So, there's my reading update for the summer. What about you? What have you been reading? Are you participating in any summer reading challenges? Yay for reading HP! Seriously, though, you have to get past the first 2-3 books to really get in it. What Chantal said. It happens for me in the 3rd book that there are plots popping up you wouldn't know unless you read the books. Carry on with them and you will be rewarded! There's also the option of skipping straight to the 3rd book but you might miss somethings toward the end of the 2nd that come up again down the road. I am so glad you started HP! I agree with Chantal, after book 4, I was severely hooked, but I understand having problems getting through a story you already know. That's what I posted about today on my Book Chat. 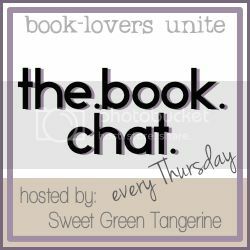 I love that the Book Chat is back! I'll be linking up later today. I'm super duper glad you read HP. I can understand how it can be difficult though since you saw the movies first. Most of the time if I see a movie first I don't even attempt to read the book. I am going to join in the congratulations on reading HP and agree that a lot of the plots don't get started until book 3. Maybe it's because the characters are older now but definitely worth it. 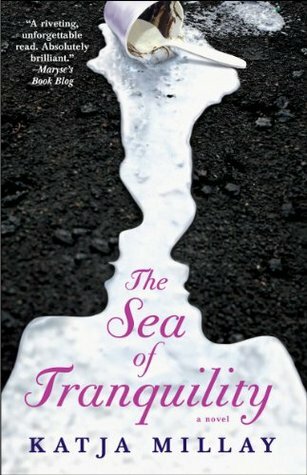 I have The Sea of Tranquility in my post too but it's on my tbr list. I've heard good things about it so I hope it blows you away otherwise I may wait awhile! So glad you're back! I updated your blog and Book Chat buttons in my sidebar, so I feel like all is right in the world again haha. Can't wait for next week - I love a good memoir! I had a post almost ready and then too much was going on so I missed it. I think that catching up was a great topic though!